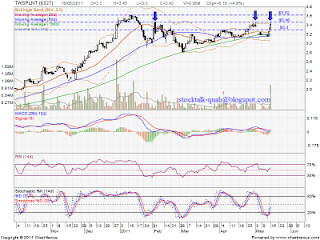 On 15 May 211, TWSPLNT break up RM3.30 resistant level with huge volume. Current resistant is RM3.46 level. 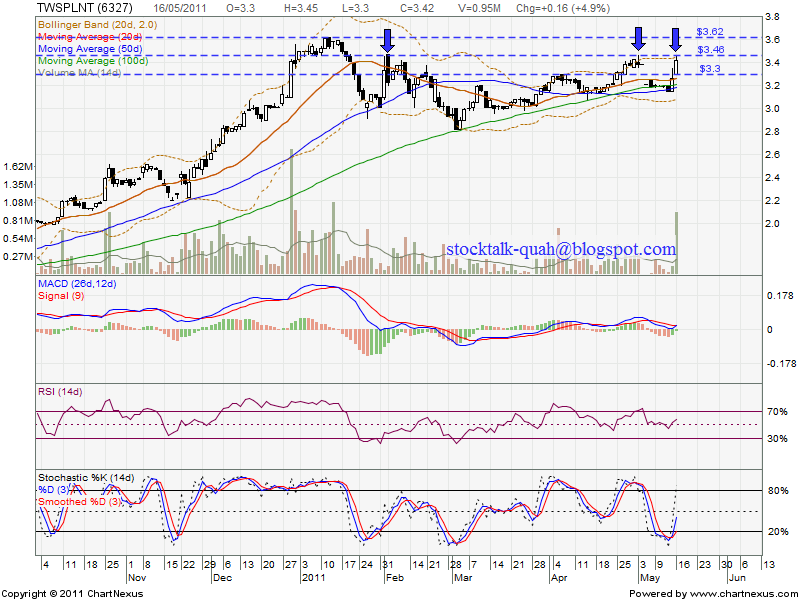 If break up RM3.46, subsequent resistant would be RM3.62 level. However, if retrace down, it might retest RM3.30 level. Stochastic %K NO trigger any sell call.